We hope this editorial shoot inspires modern couples to think outside the box when creating their wedding aesthetic – in particular to have fun experimenting with textures. Our shoot was set up in an industrial venue called The Doyle. The venue’s clean aesthetic provided a blank canvas that allowed us to imagine and create without structural constraints (and to make the most of negative space). When I met with the florists in the space, our concept evolved quickly. Living in the Las Vegas area, we know that the one desert element that is in abundance in the valley surrounding Las Vegas is the tumbleweed. Its spiny, round texture was what inspired this modern vision. We decided to bring together imperfect desert textures and artful florals to create a ceremony altar. 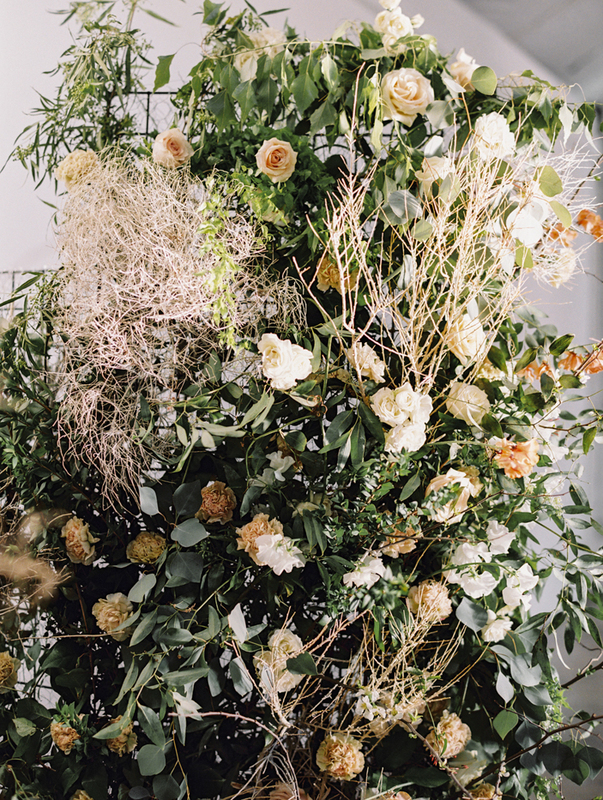 The result was an unexpected clash that became an avant-garde flower cave! 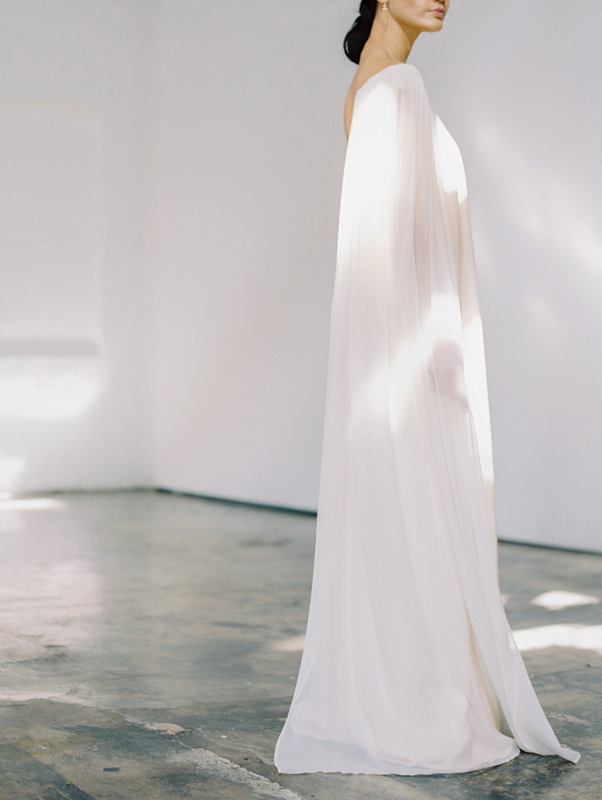 To contrast the tumultuous aesthetic created by the floral design, we had our bride wear a minimal, ethereal wedding gown. Her hair was parted down the middle, and effortlessly styled in a low chignon. We continued the contrast by combining both feminine and masculine elements (mixing red wine and whiskey glasses on the table), and using organically shaped, bespoke ceramic plates. The finishing touch was the use of modern letterpress for the paper goods. AS SEEN IN ONCE WED!